Herein lies a list of some of the sources of information I have found to be very useful as I explore my surroundings. These publications have opened my eyes and my mind, although I haven’t come close to absorbing all of the information. But, these sources are at my elbow and consulted frequently—usually two or three are open at a time. Some of these books treat ideas not presented on the site, and so hint at future topics. (gsd37 yahoo.ca, Nakusp 2003) 7 pp. Nelson Naturalists, 1996, 7 pp. by Linda M. Van Damme, (Creston Valley Wildlife Management Area, 1996) 11 pp. (Biodiversity Centre for Wildlife Studies, Publication 11, Victoria, 2009) 35 pp. (Heritage House, Surrey, 2009) 434 pp. (Dorling Kindersley, India & Tourmaline Editions, Toronto, 2004) 684 pp. (Knopf, New York, 2001) 588 pp. Sibley Field Guide to Birds, by David Allen Sibley, (Knopf, New York, 2000) 545 pp. (Lone Pine Publishing, Edmonton, 1997) 336 pp. (Royal British Columbia Museum, Victoria, 1987) 420 pp. (UBCPress, Vancouver, 1992, 1992, 1997, 2001). Lives of North American Birds, by Kenn Kaufman, (Thomas Allen, 2001) 702 pp. Cornell Lab of Ornithology—Handbook of Bird Biology, Edited by Sandy Podulka, Ronald W. Rohrbaugh, Rick Bonney, (Princeton University Press, 2004) 1248 pp. …one’s sense of wonder can only grow as one’s insignt increases. (Seattle Audubon Society, Seattle, 1993) 406 pp. Raptors of Western North America, by Brian K. Wheeler, (Princeton University Press, Princeton, New Jersey, 2003) 544 pp. Avian Flight, by John J. Videler, (Oxford, 2005) 258 pp. by Henk Tennekes, (MIT Press, Cambridge, MA 1997) 138 pp. by David E. Alexander, (Johns Hopkins University Press, Baltimore, 2002) 358 pp. Markham Ontario, 1989) 479 pp. (Lone Pine, Vancouver, 1996) 464 pp. Trees, Shrubs and Flowers to know in British Columbia, by C.P. Lyons, (J.M. Dent & Sons, Canada, 1952) 194 pp. Northwestern Wild Berries, by J.E. Underhill, (Hancock House, Surrey, 1984) 96 pp. by Neil L Jennings, (Rocky Mountain Books, Vancouver, 2008) 304 pp. Rocky Mountain Wildflowers, by Jerry Pava, (Fulcrum, Golden, Colorado, 1989) 220 pp. Newcomb’s Wildflower Guide, by Lawrence Newcomb, (Little Brown, U.S.A., 1989) 490 pp. Trees in Canada, by John Laird Farrar, (Fitzhenry & Whiteside, 1995) 502 pp. Field Guide to Noxious Weeds and Other Invasive Plants of British Columbia, by Roy Cranston, David Ralph, and Brian Wikeem, (B.C. Government, Victoria, 2005) 93 pp. One day’s exposure to mountains is better than cartloads of books. One day’s exposure to mountains is better than heaps of video games and countless episodes of TV shows. (Lone Pine, Vancouver, 2001) 296 pp. (UBC Press, Vancouver, 1993) 164 pp. by David W. Nagorsen, (UBC Press, Vancouver, 1996) 169 pp. by David W. Nagorsen, (UBC Press, Vancouver, 2005) 410 pp. by David Shackleton, (UBC Press, Vancouver, 1999) 268 pp. (Firefly, Willowdale, Ont., 1999, 2nd edition) 336 pp. (Lone Pine, Vancouver, 1997) 160 pp. by James Halfpenny and Elizabeth Biesiot, (Johnson Books, 1988) 176 pp. by Hap Gilliland, (Naturegraph, 1990) 128 pp. (Houghton Mifflin, N.Y., 1998) 176 pp. Unfortunately, most of us just walk by...not hearing or noticing a thing. (Lone Pine Publishers, Vancouver, 2006) 176 pp. (Royal BC Museum, Victoria, 2006) 266 pp. by Don Gayton, (New Star Publishers, Vancouver, 2002) 96 pp. by J. D. McPhail, (University of Alberta Press, Edmonton, 2007) 620 pp. 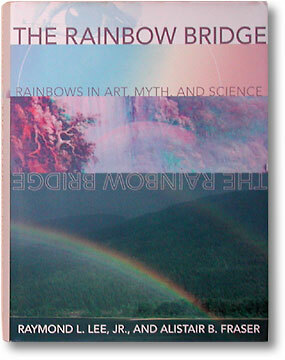 by Robert G. Forsyth, (Royal BC Museum, Victoria, 2004) 188 pp. by Sidney W. Dunkle, (Oxford, US, 2000) 368 pp. (Little Brown, U.S.A., 2002) 159 pp. Introducing the Dragonflies of British Columbia and the Yukon, by Robert A. Cannings, (Royal BC Museum, Victoria, 2002) 96 pp. (Texas A&M University Press, Texas, 2005) 224 pp. Butterflies of North America, by Perry J. Kaufman, (Houghton Mifflin, 2004) 384 pp. (Univ. of Toronto Press, Toronto, 1998) 378 pp. (UBC Press, Vancouver, 2001) 414 pp. (Agriculture and Agri–food Canada, 2009?) 42 pp. (Firefly Books, 2005) 320 pp. (Lone Pine, Edmonton, 1991) 415 pp. (Canadian Forest Service, 1996) 178 pp. (Greystone Books, Vancouver, 1996) 341 pp. Wildlife & Trees, by Mike Fenger, Todd Manning, John Cooper, Stewart Guy, and Peter Bradford, (Lone Pine Publishing, Edmonton, 2006) 336 pp. (Fulcrum Publishing, Golden, Colorado, 1996) 360 pp. (Ecco, Harper Collins Publishing, N.Y., 2003) 357 pp. (Dover, New York, 1954) 362 pp. (American Elsevier, New York, 1970) 285 pp. (Cambridge University Press, London 1980) 195 pp. (Pennsylvania State Press, Pennsylvania, 2001) 393 pp. (Department of Fisheries and Oceans, 1980) 291 pp. (Mills & Boom, London 1964) 250 pp. (Anchor Books, New York, 1964) 267 pp. by William T. Fox, (Phalarope Books, New Jersey, 1983) 317 pp. (St. Martin’s Press, New York, 1972 2nd edition) 570 pp. (Prentice Hall, New York, 1998 2nd edition) 554 pp. It is indeed wrong to think that the poetry of Nature’s moods in all their infinite variety is lost on one who observes them scientifically, for the habit of observation refines our sense of beauty and adds a brighter hue to the richly coloured background against which each separate fact is outlined. (Queen’s Printer, Ottawa, 1955) 222 pp. (John Wiley Elsevier, New York, 1987) 195 pp. by Craig F. Bohren, (John Wiley Elsevier, New York, 1991) 190 pp. Cloud Study, by F.H. Ludlam and R.S. Scorer, (John Murray, London, 1957) 80 pp. Climate Near the Ground, by Rudolf Geiger, (Harvard, Cambridge, 1965) 611 pp. Boundary Layer Climates, by T.R. Oke, (Methuen, London, 1987 2nd edition) 435 pp. The primary function of mythology is to face inward towards the concerns of the society that possesses it --- which is why science, which faces outward toward the operations of nature itself, is a late cultural development. (U. of Washington, Seattle, WA., 1969) 101 pp. Snow Crystals, Natural and Artificial, by Ukichiro Nakaya, (Harvard, Cambridge, 1954) 510 pp. (a 1962 Dover reprint of the McGraw-Hill publication of 1931) 227 pp. (Pregamon, Toronto, 1981) 776 pp. (Corner, Vernon, B.C., 1968) 131 pp. (University of Washington Press, Seattle, 2003) 139 pp. Geotour Guide, for the West Kootenay, BC, by RJW Turner, RG Anderson, et al. (Geological Survey of Canada, File 6135, 2009) 43 pp. (Mountain Press, Missoula, 2005) 404 pp. (Canadian Hydrographic Service, 1996) 16 pp. (Underwater Archaeology Society of British Columbia, Vancouver, 2000) 77 pp. (Nelson Daily News, Nelson, 1997) 104 pp. (Alexander Nicolls Press, Vancouver, 1978) 202 pp. (Discovery Press, Vancouver, 1977) 195 pp. (Uvisco Publishing, Edmonton, 1988) 538 pp. Move your cursor over the menu in the upper left for other topics.